We are aware of key challenges that comes with the physical presence of oversea volunteering. Financial constrains, time devotion, fear of flights and many other reasons contributes to the hesitation of great people to physically volunteer for good causes. However, there are still many other ways to virtually become an effective volunteer from the comfort of your homes, with your smart phones, tablets and laptops, you can achieve same goals as volunteering in person. JOIN FROM ANYWHERE IN THE WORLD! 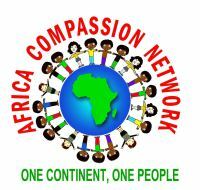 Help support our efforts by becoming a member of Africa Compassion Network (ACN), your membership means a commitment to an organization that wants real and lasting solutions for children in need. Help and support the vision of ACN! Your kind support is saving lives, empowering the youth and educating children. Thank you! Your gift will enable Africa Compassion Network to implement and continue effective advocacy efforts to tackle problems facing Rights, Freedom and Education of vulnerable children mostly in Africa. Contact us for your interest in Country Branch opening and representative positions. There's also an opportunity for city/town chapter opening and leadership roles for interested members around the world. Take a chance! 1. ACN gift basket (Organization's branded T-shirt, Cap and a pen). 2. ACN official membership Identification Card with photo. 3. Qualified to represent our organization at Special Seminars/conference in every country of registration including New York (Head Quarters). Our annual membership Dues varies based on your country of registration. There's a flexibility plan of installment payment as well, full payment is optional. Contact your local Country director of ACN for more information on membership Registration. Africa Compassion Network, Inc. is a 501(c)3 tax exempt organization, so your monthly sponsorship donations are Tax deductible to the full extent permitted by Federal Law of IRS. We issue out receipts for your tax deductible purposes.